…it is almost a dishonor to imagine that she lived in the lyrics of her songs. Her message was otherwise. It was style. That was her meaning from the time she began at fifteen. It does not change the victory of her great effort, of the miraculous discovery or retrieval from darkness of pure style, to know that it was exercised on “I love my man, tell the world I do….” How strange it was to me, almost unbalancing, to be sure that she did not love any man, or anyone. It’s a lingual act that rivals her subject’s musical one. I am never comfortable reading Hardwick because her tone is so obscure and so stunningly unique. It has such specificity, such style. It executes what it describes: the impressive ability to maintain a state of not being overwhelmed, of keeping it together for long enough to carve out a specific, individual way to understand, represent and be in the world. It seems to sit there, inactive, when written on a page but something is revealed when we hear it sung. When I went to the Glasgow School of Art’s Degree Show 2017, Tamara MacArthur had taken this song to use in her own work. In MacArthur’s performances, the artist presents herself made-up both in a cosmetic and a fictional sense. Costumed in handmade attire, she surrounds herself by a stage of ephemera: charcoal drawings, theatrical props, paper mache sculptures. She then looks at you in the eye and she sings. In the Degree Show work, the viewer steps through a large red curtain and peeks through a small rectangular window in order to see this. In the newer piece that was performed at HOLD ON ON HOLD in Edinburgh’s Embassy gallery last month, the stage is left openly vulnerable. This is an interesting shift in the work. The glass peep-hole was so affective because it seemed to function as both an entrance and an exit; the viewer was allowed access to this inner chamber and the performer was allowed relief from her solitude. It is deeply moving to be sung to and it is MacArthur’s skill to dissipate the formality of the gallery and retain the act’s intense intimacy. It’s a short-lived feeling. It begins to become noticeable that there is a slight but jarring disjoint with what was assumed to be mutual eye-contact. The glass is one-way; the artist can be viewed but can not be the viewer. The profoundly personal becomes profoundly voyeuristic; just like the rest of MacArthur’s set, the very act of viewing is revealed to be at once made, fragile and precarious. Everything in MacArthur’s work is façade, everything is performance, even intimacy. I use MacArthur’s work as an example of what performance art can do because it does what the best should do: the role of performer is revealed to be both acted by both audience and artist. Whether the decision to remove the one-way glass for the Embassy show was practical or artistic, the result renders both viewer and viewed vulnerable and the role of performer becomes shared. It’s tough to meet MacArthur’s gaze and much easier to avert your attention to the set or the costume or the floor. Eventually, if only for a small while, the concession is made and the look returned. During the time I was there, MacArthur started crying. How to respond to this rawness? After being given so much I felt indebted, and also wanted, to stay but it’s a gallery and everyone has somewhere else to be eventually. It’s a difficult feat, turning your back on someone who is singing to you, and it presents a terrible reminder of personal experiences of intimacy, of that lurking knowledge that it is an act between two people who will never really know each other, and who can always be somewhere else. If it can strike this awareness in an audience member, then it must be relentlessly exhausting for MacArthur. As an additional note, it forms an interesting comment on how the gallery space encourages fleeting, unanchored experiences of art but it is predominantly a moving description of what artists do and, perhaps, what performance artists do most viscerally of all. Informed by experience, performance artists create experience to only be informed by this once again in a sort of recursive feedback loop that amplifies. So much is given and then left so many times, and MacArthur continues to sing regardless. It’s almost coercive, this co-dependency that we force upon ourselves and others and is impossible to rationalise or explain. This is why MacArthur’s work is so necessary; there’s not much more that can be asked of art than to be a vessel that the artist fills with something language cannot articulate and passes to the viewer to unpack. MacArthur exposes by isolating and then recreating an experience that can’t be easily described, which is what makes it so strong, this resistance to definition. “If I had words”, if only. Art is, and has always been, dressing up experience to render it bare. In MacArthur’s case it’s quite literally this. It seems almost counter-productive but artistic production is necessarily a process of information compression and thus comprehension. A performer who forgoes structure in an attempt to present information unfiltered or emotion as we experience it will only produce a display of wild unwieldiness that is too chaotic to make any sense of, much like our daily experience. It can never hope to provoke that fleeting moment of awareness that leaves in its wake, if not mechanisms as such, then titbits of understanding that make it that bit easier to deal with our day-to-days. On the other hand, there’s a danger in following craft theory too didactically; the humanistic, artistic intuition can suffocate inside the structure that is built around it. Utilising, but not beholden to, theatrical traditions, MacArthur’s work is an example that confidently walks this fine line. I, undeniably, like its style. Like Hardwick says of Holiday’s performance, the work presented is a coherent expression, it keeps it together despite the artist knowing that they will never understand the irrationality of something like intimacy. The emotion is performed and therefore framed, making it much smaller than the experience of it in real life. There is a realisation of the deep need for ritual as a coping mechanism and the deep insufficiency of it. Performance privileges the experience of art over the art object. It is temporal and so must necessarily do this, but the best of performance goes further than this to not only bring an awareness of something such as, say, the perils of intimacy but also realises the necessary profundity of it; how wonderful it is to be sung to, solely and directly! 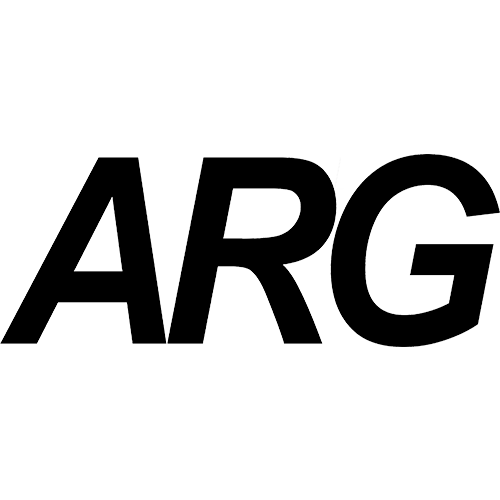 In reading through the proposals for this issue of ARG, we repeatedly came across this notion that art doesn’t have to just expose, it can also offer guidance in how to navigate what has been exposed. It can, for example, give reason for why the exposed is latently inherent and therefore offer solace through the revelation of its inevitability and consequent necessity or, alternatively, it can reconsider assumed truths and offer new routes through the problems unearthed. In very broad strokes: art production, as opposed to the art product, could be seen as an ends in itself (Brown, Black-Daniels) and in doing so offer antidote to the vapidity of capitalist materialism (Colletti); there should be a constant questioning of the authority of art institutions, instead of a presumption that they are always informed or always acting in the interest of free expression, and to stay actively critical of the narrowing of platforms given to different perspectives under the guise of broadening them (Aitken, Pagarani); the simple act of doing, the act fundamental to performance, without any concrete notion of what could result could be a reaction against the objective, controlled and quantifiable processes of societal institutions (Aitken, Colletti, Brown). These are just a few of the examples of the submissions we received but there can already be seen a palpable desire to critique the performance of institutions and the institutionalisation of performance. Beyond ARG, beyond Glasgow, this prevalence continues. The Tate has a newly appointed Performance Curator, GSA has added a performance pathway to the MLitt Fine Art Practice course and I recently listened to a podcast of a round table that the RA entitled How Can Performance Art Be Collected, Presented, Displayed and Sold, in which choreographic text scores (see, EXTENSIONS) were discussed. These text scores are a perfect example of how performance can democratise both the means and consumption of art; they offer instructions that extend the bodily feeling the artist has created to any body, without any purchasing, prior knowledge or taught craft needed. Historically (with exceptions such as Yoko Ono’s esoteric, instructional Acorn), performance artists have utilised their own bodies as their medium but a newer wave of performance artists have taken as their medium the universality of bodies in general. They only need a platform to travel by, which is why they have flourished in the company of artists who have been raised on not only the reproductive ability of print medium (that we hope ARG can provide) but the even more effective, limitless replicative faculty that the internet delivers. One of the reasons we started this magazine was so that we could create points of intersection between art and writing such as this, utilising the written word and the printed form as both carriers and forms of art; to discuss, critique but also inform artistic practice. We also believed that both artists and writers often act as sorts of cultural antennae drawing out and then signalling the underlying currents of their environment and deserve a transmitter. It seems apt that, at a time when there is deep political unrest surrounding our neoliberal systems, performance, that form that has so resisted commercialisation, is being discussed so thoroughly in Glasgow and in the wider world of art. Performance is being questioned and, characteristically, performance is responding. In Glasgow, Babaloose is the answer given. Becky Brown once told me, at the same time sincere and tongue-in-cheek, that Babaloose was the pinnacle of art presentation and it’s a persuading opinion. Babaloose self-styles itself as “an open platform performance night for promoting the politics of performing, and the power of an audience as a creative community”. It’s a place people go to perform for no other reason than to perform. There is no tangible benefit in going and no tangible benefit in performing as nothing can be monetised from it and no professional recognition can be gained from it. It’s a space stripped of all art’s periphery issues: ego, finance, institutional validation. What’s left are artists presenting art directly to you. Or course, with none of the critical structures that these things provide the work isn’t always profoundly moving or deeply though-provoking, but sometimes it is. However, in this way, it’s performance at its purest because the significance of the products of the performance pail in comparison to the importance of the experience of being there. And it’s inclusive, which is something easily taken for granted but hardly appreciated. “Everyone is encouraged to perform and make work for Babaloose”; this is meant on both a social and artistic level. I’m no performer but it has shaped my essay writing. I went last month and had to stand at the top of the stairs because I came late and the big hall of The Glue Factory was already full. At the end of each act there’s always someone to fill the space left, usually by a sudden and nervous jumping up as if the initial forward momentum will stop the possibility of a change of mind. It’s a nerve-racking act, to bare oneself, to bare one’s style. It’s publicising the very specific method of faking that the performer employs, both in their artistic and social life. This doesn’t elevate style over substance, rather it realises that style is substantial. Art, and writing, is perhaps not so much about exhibiting what you know but expressing how you came to know it; a process of thought rather than a presentation of information. Hardwick fulfils this in her essays; she is visibly using her writing to understand her experience. Moreover, it is an affirming thought to think that she did this because she was so provoked as she watched Holiday perform, just as I was as I watched MacArthur perform Holiday. It seems there is nothing more to culture than this history of dialogue, a history of performing realisation into expression – brief moments when incoherence solidifies into communication before trembling once again. Colm Guo-Lin Peare edits Art Review Glasgow.